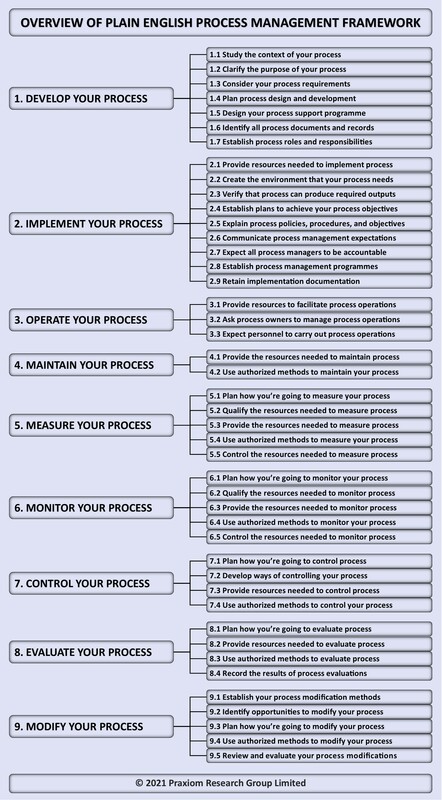 This page presents an overview of our Plain English Process Management Standard. Updated on March 31, 2019. First published on May 2, 2018. Copyright © 2018-2019 by Praxiom Research Group Limited. All Rights Reserved.